MomentSnap is a frontline employee engagement software system that offers a competitive and immediate approach to employee performance. Using online reviews, sales data, guest surveys and other metrics, MomentSnap delivers a gamified approach to CRM. Employees are able to access their performance and praise immediately through the platform’s mobile capabilities. Performance recognition and communication features allow everyone, from peers to CEO, to highlight different employees. The gamified, social aspect of MomentSnap allows users to see how they compare with peers, and to see areas that need improvement. MomentSnap software puts data directly into the employee’s hand, by hosting it on his or her mobile device. Personal performance data is updated daily, and team members have access to a leaderboard where they’re ranked against peers. MomentSnap is optional for employees; however, 80% of employees become active users, and companies see an 8% average increase in performance metrics. Online reviews, sales data, guest survey and other metrics are used to evaluate employee performance. 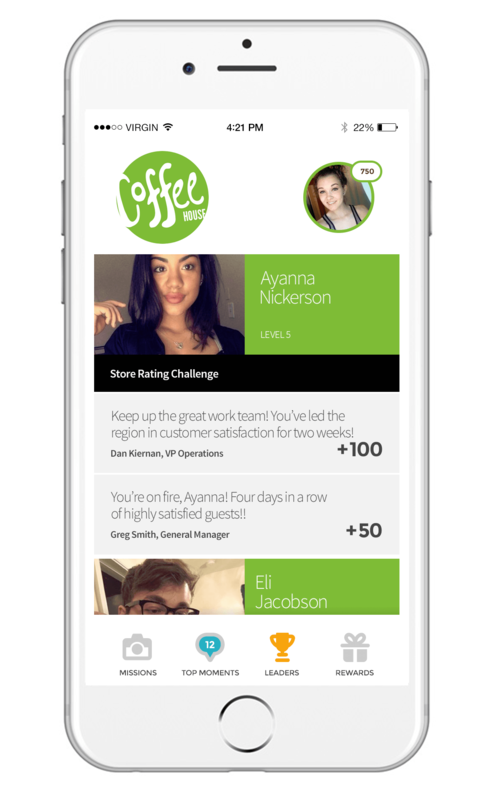 Employees can access MomentSnap before, during and after their shifts to see how they compare with peers. MomentSnap works through competition, ownership and recognition.Software gamifies metrics used the most, and employees have access to their performance data, and the data of their peers. MomentSnap delivers a detailed overview of personal performance directly to an employee’s device. Software automates recognition, freeing leadership bandwidth. Not sure if MomentSnap is right for you? Use our Product Selection Tool to compare other Customer Relationship Management solutions. Have questions? Call one of our unbiased Technology Advisors for a free consultation. Learn everything you need to know about MomentSnap. Our experts will reach out to you shortly.